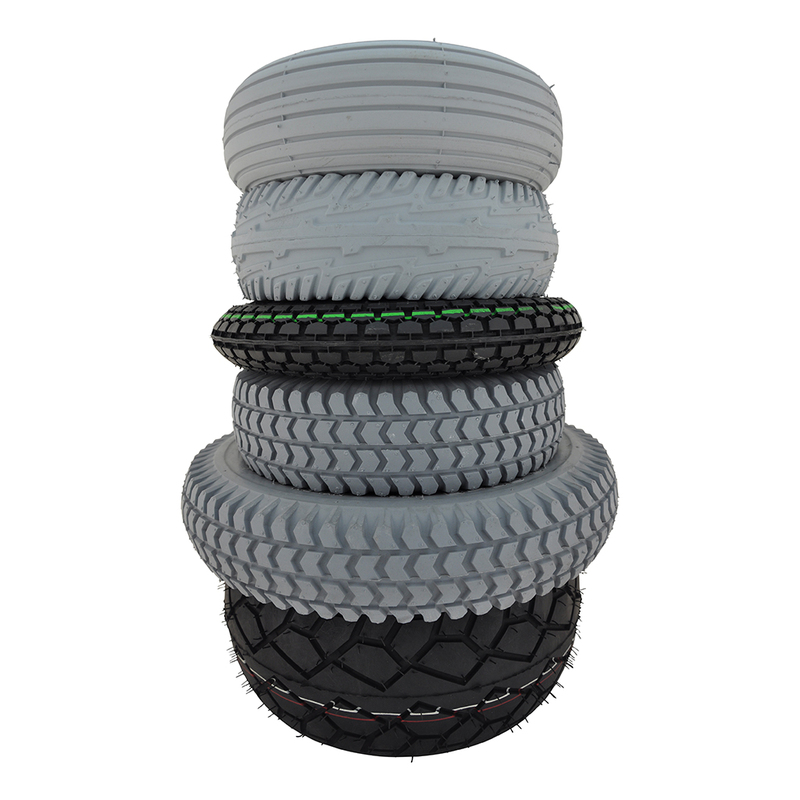 Flexel stock a wide range of high quality grey and black tyres from leading manufacturers for manual and powered wheelchairs, mobility scooters, agricultural vehicles and light industrial uses. These brands include Cheng Shin Tyre, Pr1mo, Schwalbe, Innova and Unilli. These manufacturers, many of which are original equipment suppliers, are known for using superior compounds in their products for longer wear and improved ride. The range includes specially designed tyres for active-user and sports chairs, mobility scooters and powered wheelchair applications. 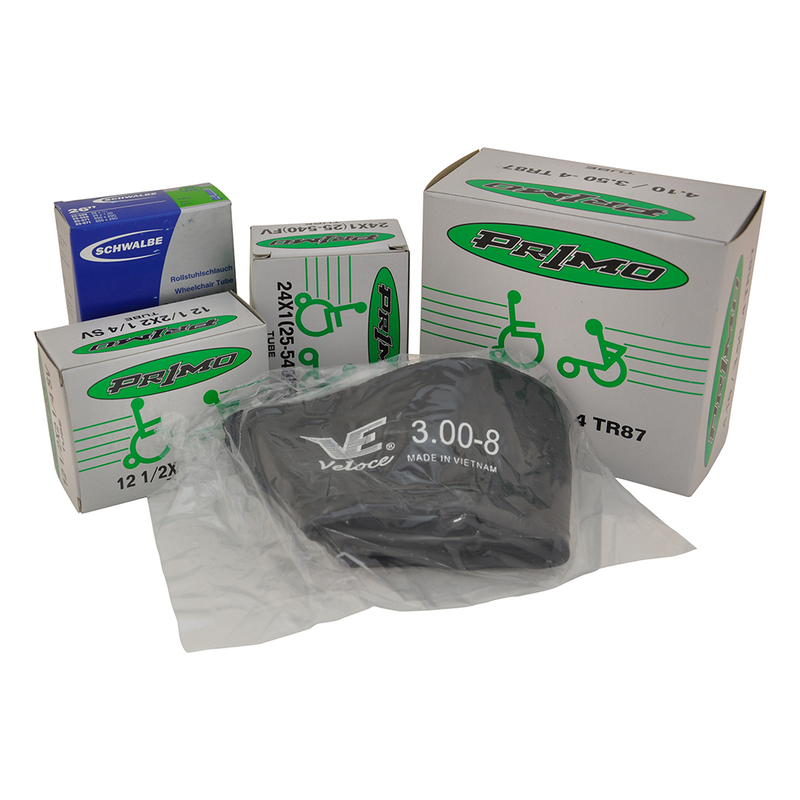 Flexel also stock the relevant inner tubes with various valve types for all wheel styles.